Celeste is not only a committed Lagree client, she also teaches anywhere from 10-20 CORE40 classes a week, AND works as our Team Support Manager! She started as a client, then an intern at the front desk in Noe Mission, then worked her way to becoming an expert instructor and mentor for the instructor and front desk intern teams. 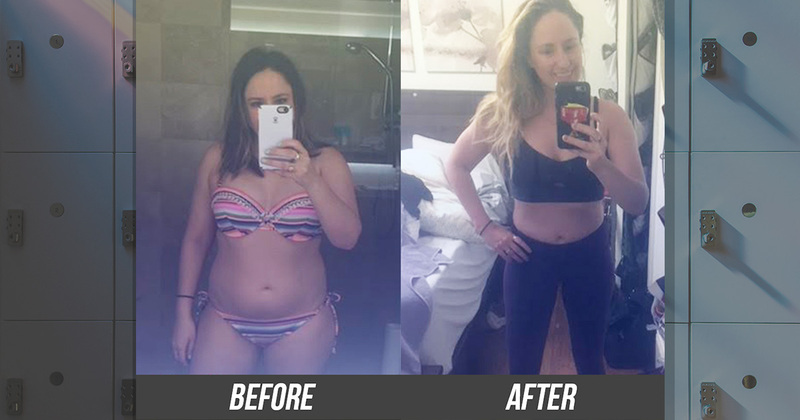 She’s taken over 200 classes since joining the CORE40 Family in 2016, and her results prove the work she’s put in. After seeing her incredible transformation photos, we decided to pick her brain about what exactly kept her coming back to the Megaformer. What do you love about the CORE40 workout? I love how efficient they are. You get a full body workout that focuses on strength, endurance and flexibility in just 40 minutes! How has CORE40 transformed your life? CORE40 provides me a space where I feel encouraged and excited to meet my fitness goals. But even beyond that, I found I had joined not just a gym but also a community. The CORE40 community inspired me and gave me the confidence to take the next step, and not to just take classes, but to become an instructor myself! What advice would you give to a CORE40 newbie? Stick with it. Learning anything new always takes a little practice and time, but you will find that with this dedication you will see and feel the results! Chat with your instructor before and after class, ask them questions and share your goals with them! Make sure and say hello to Celeste next time you see her lunging, learning, or coaching at the studio!